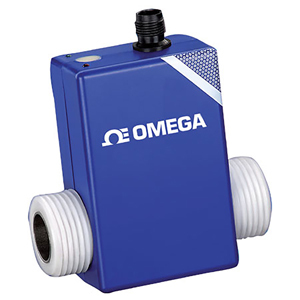 OMEGA’s FMG90 Series electro-magnetic flow sensor for conductive liquid media was developed for OEM applications and does not contain any moving parts. FMG90 series is the most economic electromagnetic flowmeter due to the cost optimized plastic construction. Its design is compact and lightweight. Six flow ranges are available. Changes in temperature, density, viscosity, concentration or electrical conductivity of the medium do not affect the output signal. The sensor is intended for continuous measurement of flow rates or for dosing/batching of liquids with a minimum conductivity of 20 ?S/cm. Note: Comes complete with operator’s manual (cable sold separately).